1800 Tequila Ad in Sept. '08 Maxim, originally uploaded by joshuaellingson. Hey look, I made the inside front cover of MAXIM this month. My art is part of an ad campaign for 1800 Tequila. The "1800 Essential Artists" campaign features nine different artists from all over the country. Limited edition bottles featuring the art from the campaign will be available at some point. 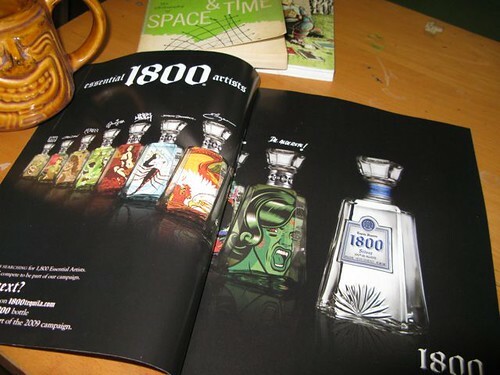 There's more about the 1800 Essential Artists campaign at 1800's website, www.1800tequila.com.